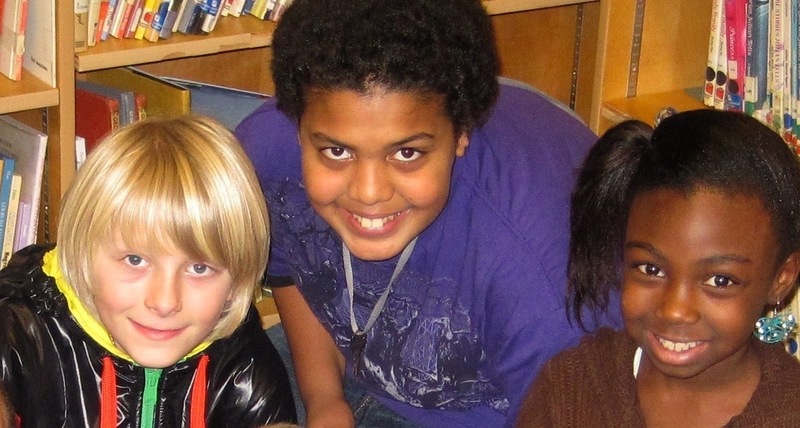 Students in The Shadow Project thrive at Faubion School. Reaching children early, getting them excited about learning and taking pride in their accomplishments makes a lasting difference. 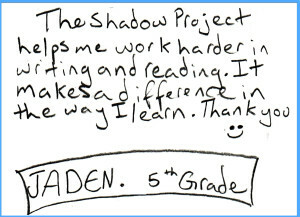 Students in The Shadow Project are becoming engaged readers and learners. They’re also developing critical attributes that longitudinal studies have found lead to life success. These include perseverance, self-awareness and the ability to set and meet goals. The Shadow Project’s model has been validated by the Harvard Business School Association of Oregon, a Portland State University study, annual outcomes surveys, and more than 1,500 letters from students, teachers and parents. Shadow Project students have become chess champions, graduated from college, and met state reading benchmarks. For instance, learn about Nick, who was ready to give up on school and himself, but is now doing well and ready to take on high school! 71% of students who were prone to giving up easily at the beginning of the school year are now persevering when faced with challenging tasks. Details of The 2013 Teacher Survey on Student Impact are available upon request.